Comments: A tall growing ginger that needs sun to grow well. Can attain a height of over 7 feet. One of the most fragrant of gingers grown in the garden. 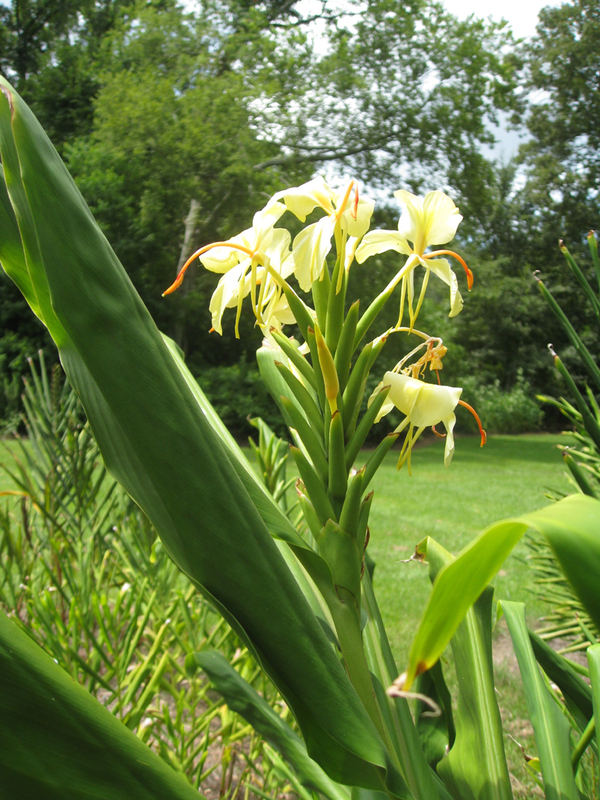 This ginger is often confused with Hedychium flavescens, the flowers of which, have a splotch of orange at the base of the petals.